David Card is the Class of 1950 Professor of Economics at the University of California, Berkeley and Director of the Labor Studies Program at the National Bureau of Economic Research. His research interests include immigration, wages, education and gender-and race-related differences in the labor market. 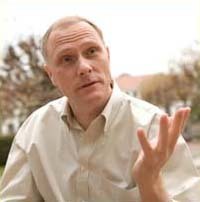 He co-authored the 1995 book Myth and Measurement: The New Economics of the Minimum Wage, and co-edited The Handbook of Labor Economics (1999), Seeking a Premier Economy: The Economic Effects of British Economic Reforms (2004); and Small Differences that Matter: Labor Markets and Income Maintenance in Canada and the United States (1992). He has also published over 125 journal articles and book chapters. Card was co-editor of Econometrica from 1991 to 1995 and of the American Economic Review from 2002 to 2005. He taught at Princeton University from 1983 to 1996, and has held visiting appointments at Columbia, Harvard, and the Center for Advanced Study in the Behavioral Sciences. In 1995 he received the American Economic Association's John Bates Clark Prize, which is awarded every other year to the economist under 40 whose work is judged to have made the most significant contribution to the field. He was a co-recipient of the IZA Labor Economics Award in 2006; and the BBVA Frontiers of Knowledge Prize in 2015, and was awarded the Frisch Medal by the Econometric Society in 2007.